November 13, 2014 – (, Philadelphia, PA , US) – Software Developer – .Net Click here for full details. November 13, 2014 – (, Sunnyvale, CA , Us) – Development Operations Engineer – Pronq by HP Software Click here for full details. November 12, 2014 – ( San Diego, California, United States, 92123 , San Diego, California 92123, United States) – Service Center Supervisor Click here for full details. November 12, 2014 – () – Implementation Technician Click here for full details. November 12, 2014 – (, Reston, VA 20190, ) – Automation Test Engineer Click here for full details. November 12, 2014 – (, Post Falls, Idao 83854, United States) – CNC EDM Operator 2014-1833 Click here for full details. November 12, 2014 – (, Temecula, California 92590, United States) – Operations Assistant (Temecula, CA) 2014-1611 Click here for full details. November 12, 2014 – (, Washington, DC , ) – Geospatial System Administrator Click here for full details. November 12, 2014 – (, Washington, DC , ) – ESRI Software Developer Click here for full details. November 12, 2014 – (, Miami, FL , ) – Microsoft System Center engineer – Miami FL – TS or TS/SCI Click here for full details. November 12, 2014 – (, Miami, FL , ) – Sharepoint Developer in Miami, FL – TS or TS/SCI required Click here for full details. November 12, 2014 – (, Washington, DC , United States) – Performance Analyst Click here for full details. November 12, 2014 – (Jet Propulsion Lab, Altadena, CA 91001, U.S.) – Network Administrator Level 2 or 3 for the Jet Propulsion Lab Click here for full details. November 12, 2014 – (Jet Propulsion Lab, Altadena, CA 91001, U.S.) – Network Administrator Level 4 for the Jet Propulsion Lab Click here for full details. November 12, 2014 – (Jet Propulsion Lab, Altadena, CA 91001, U.S.) – Systems Administrator Level 4 for the Jet Propulsion Lab Click here for full details. November 12, 2014 – () – Scheduler Click here for full details. November 12, 2014 – (Jet Propulsion Lab, Altadena, CA 91001, U.S.) – Systems Administrator Level 5 for the Jet Propulsion Lab Click here for full details. November 12, 2014 – (1 william way, bellingham, ma 02019, ) – Electrician-Wireless Industry Click here for full details. November 11, 2014 – (San Francisco International Airport – Fuel Facility, San Francisco, CA 94128, USA) – Now Hiring! Full-time Pipeline Technicians at SFO Airport Fuel Facility! Click here for full details. November 11, 2014 – (, Brandon, Suffolk , UK) – Simulation Operator for Brandon, Suffolk, UK Click here for full details. November 11, 2014 – (115 Atwood St, Pittsburgh, PA 15213, ) – Billing Manager – NoWait, Inc. Click here for full details. November 11, 2014 – (, Glendale, AZ , USA) – Simulation Operator for Glendale, AZ Click here for full details. November 11, 2014 – (, Morrisville, PA 19067, USA) – Mechanics for Morrisville, PA Click here for full details. November 11, 2014 – (, Greenbelt, MD 20768, ) – Subject Matter Expert (2011-205) Click here for full details. November 11, 2014 – (, Camp Pendleton, California 92055 , United States) – Operator/Instructor/System Administrator for Fires Systems (1992-205) Click here for full details. November 11, 2014 – (, Anchorage, AK 99503, ) – Project Manager – Web Applications (1959-205) Click here for full details. November 11, 2014 – (, Camp Pendleton, California 92055 , United States) – Operator/Instructor/System Administrator for Force Protection Systems (1991-205) Click here for full details. November 11, 2014 – (, Anchorage, AK 99503, ) – GIS ( Geographic Information Systems) Programmer / Analyst (1958-205) Click here for full details. November 11, 2014 – (, Dahlgren, Virginia 22448 , United States) – General Clerk III (2015-205) Click here for full details. November 11, 2014 – (, Greenbelt, MD 20768 , United States) – Senior Enterprise Architect (2013-205) Click here for full details. November 11, 2014 – (, Crane, Indiana 47552 , United States) – Accounting Clerk III – Financial Management Support (2) (2017-205) Click here for full details. November 11, 2014 – (, Greenbelt, MD 20768 , United States) – Software Engineer (2012-205) Click here for full details. November 11, 2014 – (, Greenbelt, MD 20768, ) – Systems Administrator I (2010-205) Click here for full details. November 11, 2014 – (, Dahlgren, Virginia 22448 , United States) – Clerical Assistant/Receptionist – FT Temp (2019-205) Click here for full details. November 11, 2014 – (, Greenbelt, MD 20768, United States) – Systems Administrator IV (2007-205) Click here for full details. November 11, 2014 – (, Greenbelt, MD 20768, ) – Systems Administrator II (2009-205) Click here for full details. November 11, 2014 – (, Greenbelt, MD 20768 , United States) – Systems Administrator V (2006-205) Click here for full details. November 11, 2014 – (, Greenbelt, MD 20768, ) – Systems Administrator III (2008-205) Click here for full details. November 11, 2014 – (, Dahlgren, Virginia 22448 , United States) – Clerical Assistant/Receptionist – PT Temporary (2020-205) Click here for full details. November 11, 2014 – (, Greenbelt, MD 20768 , United States) – Penetration Tester I (2005-205) Click here for full details. November 11, 2014 – (, Greenbelt, MD 20768 , United States) – Penetration Tester II (2004-205) Click here for full details. November 11, 2014 – (, Greenbelt, MD 20768, ) – Project Administrator V (1999-205) Click here for full details. November 11, 2014 – (, Greenbelt, MD 20768, United States) – Project Administrator I (2003-205) Click here for full details. November 11, 2014 – (, Greenbelt, MD 20768, ) – Security Coordinator (1998-205) Click here for full details. November 11, 2014 – (, Dahlgren, Virginia 22448 , United States) – Unix System Administrator (Computer Analyst) (2021-205) Click here for full details. November 11, 2014 – (, Greenbelt, MD 20768 , United States) – Project Administrator II (2002-205) Click here for full details. November 11, 2014 – (, Quantico, VA 22134 , ) – OPFOR, Military Analyst; Logistics (1990-205) Click here for full details. November 11, 2014 – (, Greenbelt, MD 20768 , United States) – Project Administrator III (2001-205) Click here for full details. November 11, 2014 – (, Kaneohe Bay, HI 96863, ) – Deployable Virtual Training Environment Simulation (DVTE) Analyst (1989-205) Click here for full details. November 11, 2014 – (, Crane, Indiana 47552 , United States) – Personnel Assistant II- NSWC, Crane Division (2022-205) Click here for full details. November 11, 2014 – (, Quantico, VA 22134, ) – Junior System Administrator – MTSS (1996-205) Click here for full details. November 11, 2014 – (, Camp Pendleton, CA 92005, United States) – MISTC Administration / Security Assistant MTSS (1994-205) Click here for full details. November 11, 2014 – (, Quantico, VA 22134 , ) – IOSv2/TCS Junior Administrator – MTSS (1995-205) Click here for full details.  November 11, 2014 – () – Modeling and Simulation Analyst for Maneuver, Intelligence/OPFOR, Logistics, MAGTF (1993-205) Click here for full details. November 11, 2014 – (, Norfolk, Virginia 23501, United States) – Program Manager for Navy Fleet Deployment Training Program Click here for full details. November 11, 2014 – (, Camp Lejeune, NC , ) – Deployable Virtual Training Environment Simulation (DVTE) Analyst (2) (1988-205) Click here for full details. November 11, 2014 – (, Dahlgren, Virginia 22448 , United States) – Configuration Management Specialist (DIO) – Integrated Warfare Systems Lab (IWSL) (1987-205) Click here for full details. November 11, 2014 – (, Dahlgren, Virginia 22448 , United States) – Sr. Field Engineer – CSSS (1986-205) Click here for full details. November 11, 2014 – (, Ft. Collins, CO , US) – Software Automation Lead Engineer Click here for full details. November 11, 2014 – (, Boise, ID , US) – Information Technology Specialist Click here for full details. November 11, 2014 – (, Littleton, MA , US) – Systems Software Engineer Click here for full details. November 11, 2014 – (, Austin, TX 73301, US) – Java/J2EE developer with Struts experience Click here for full details. November 10, 2014 – (Whitney, Bradley and Brown, Falls Church, Virginia , United States) – Functional Area Analyst—Junior (Medical) Click here for full details. November 10, 2014 – (University of Texas at El Paso , El Paso, Texas 79902, United States) – Scholarship Advisor-10021391 Click here for full details. November 10, 2014 – (, Falls Church, Virginia 00000, United States) – Business Process Engineer – Junior Click here for full details. November 10, 2014 – (, Falls Church, Virginia 22040, United States) – Business Process Engineer – Senior Click here for full details. November 10, 2014 – (, Norfolk, Virginia 23501, United States) – Expeditionary Warfare Training (EWT) Training Lead (NECC/Expeditionary Training Group (ETG) Click here for full details. November 10, 2014 – (University of Texas at El Paso , El Paso, Texas 79902, United States) – Sr. Development Researcher Click here for full details. November 10, 2014 – (CT, Stratford, CT , ) – Junior Project Engineer Needed / Aviation / Urgent Click here for full details. November 10, 2014 – (2000 Clearwater Dr, Oak Brook, IL 30329, United States) – Load Planner Click here for full details. November 10, 2014 – (5660 Universal Drive, Memphis, TN 38118, United States) – Mobile Service Mechanic Click here for full details. November 10, 2014 – (5660 Universal Drive, Memphis, TN 38118, United States) – Equipment Specialist Click here for full details. November 10, 2014 – (3075 E Imperial Highway, Brea, California 92821, United States) – Assistant Manager, Logistics Click here for full details. November 10, 2014 – (, Chicago, Illinois , United States) – Senior Test Engineer/Project Manager Click here for full details. November 10, 2014 – (, Fallbrook, CA 92028, ) – Process Analyst Click here for full details. November 10, 2014 – (, Washington, DC , ) – VCE IT Support Engineer Click here for full details. November 10, 2014 – (CT, Stratford, CT , ) – Training Device Lead / Training Systems Lead Click here for full details. November 10, 2014 – (Scott Air Force Base, Shiloh, Illinois 62225, ) – Information Engineer Click here for full details. November 10, 2014 – (, Reston, VA 20190, ) – Systems Engineer Click here for full details. November 10, 2014 – (, Salem, VA , ) – Systems Maintenance Technician Click here for full details. November 10, 2014 – (, Chicago, Illinois , ) – On-Call Biometric Technician Click here for full details. November 10, 2014 – (, Laguna Niguel, CA , ) – Supervisor Click here for full details. November 10, 2014 – () – Cache Developer Click here for full details. November 10, 2014 – (3075 E Imperial Highway, Brea, California 92821, United States) – Logistics Coordinator Click here for full details. November 10, 2014 – () – Sr. Application Developer Click here for full details. November 10, 2014 – (2987 Clairmont Road, Atlanta, GA 30329, United States) – Assistant Manager, Logistics Click here for full details. November 10, 2014 – (East Coast, Stratford, CT , ) – Product Team Manager / Training & Supportability Click here for full details. November 10, 2014 – () – Senior BI Developer Click here for full details. November 10, 2014 – (2987 Clairmont Road, Atlanta, GA 30329, United States) – Logistics Coordinator Click here for full details. November 10, 2014 – (Stratford, Stratford, CT , ) – CRH Courseware Lead / Urgent Click here for full details. November 10, 2014 – (Scott Air Force Base, Shiloh, Illinois 62225, ) – Junior Java Software Engineer Click here for full details. November 10, 2014 – (, Washington, DC , ) – Junior Systems Administrator Click here for full details. November 10, 2014 – (Scott Air Force Base, Shiloh, Illinois 62225, ) – Functional Analyst/Tester Click here for full details. November 10, 2014 – (, Reston, VA 20190, United States) – Senior Java Software Engineer Click here for full details. November 10, 2014 – (, Fort Detrick, MD , ) – Information Assurance Analyst Click here for full details. November 10, 2014 – (, Indianapolis, IN 46204, ) – On-Call Biometric Technician Click here for full details. November 10, 2014 – (, Naperville, Illinois 60540, United States) – Biometric Technician Click here for full details. November 10, 2014 – () – 14.0027 Quality Control Construction Specialist – Civil Click here for full details. November 10, 2014 – (, Woodinville, Washington 98072, United States) – Shipping/Receiving Clerk 2014-1831 Click here for full details. November 10, 2014 – (Premiere Services, San Antonio, Texas 78201, USA) – 12 Volts Automotive Electronics Technician Click here for full details.